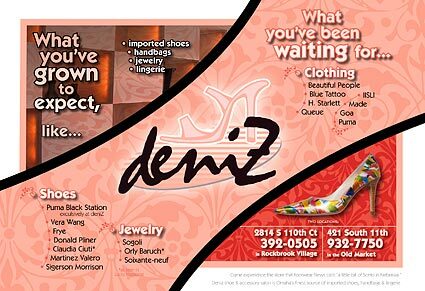 Deniz is a women's shoe store, devoted to fine/rare imported shoes and accessories. Ads have appeared in countless magazines and newspapers. Work has also included photography, banners, postcards, and other campaigns.